All are invited to adopt a new discipline this Lent. Traditionally thought of as "giving something up for Lent," this spiritual practice is meant to imitate the forty days and nights of Christ's fast in the wilderness. 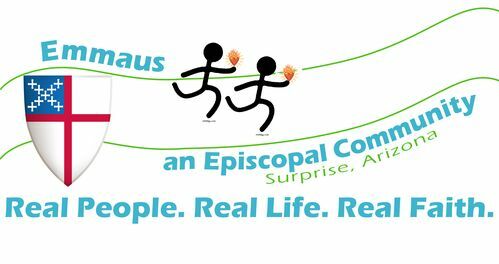 Emmaus members are invited adopt a new spiritual practice that honors "your body (as) a temple of the Holy Spirit." (1 Corinthians 6:19) Perhaps the practice of giving up sweets, or the coffee you normally rely resonates with you. Perhaps your goal is to become more physically or emotionally fit. Perhaps you desire to enhance your prayer life. Participants will be asked to choose one discipline either to add or take away from their daily routine. Then, our community will commit to supporting each member in their personal discipline. At the end of the season we will take pause to examine the impact this process has had on our individual lives, and on that of our community as a whole. Beginning Wednesday, March 6 and throughout the season of Lent: Choose a time each day to pause, place a penny in the jar, and say a prayer. You may use one of the prayers provided, say one of your own, hold a spontaneous conversation with God, sit in quiet meditation, or any combination of these. The key is that you hold space in every day for prayer. Ideally, choose a time that you can commit to consistently each day; as you rise, the moment the kids leave for school, and just before you close your eyes at night are common examples. 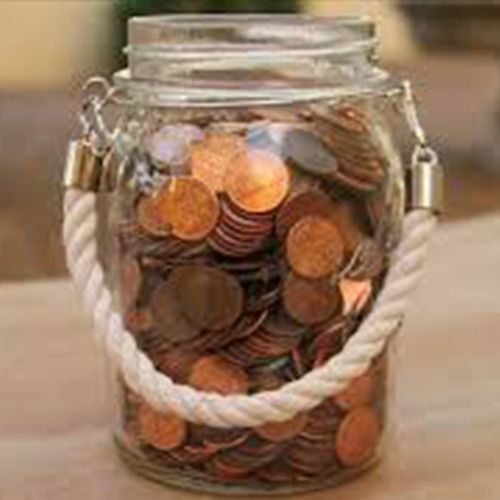 Then, bring your jar, filled with it's pennies back to Emmaus on Easter Sunday and place the pennies representing your prayers alongside those of our greater community! Looking for a way to commit to reading the Bible more regularly? Consider a commitment to reading and prayerfully considering the Psalms this lent. Found in the Book of Common Prayer, this 30-day reading cycle will guide you through that process. You'll navigate the Psalter, with nine days to spare before Palm Sunday and the start of Holy Week. Looking to the example of Brother Lawrence, a 17th century lay brother in a Parisian Carmelite monestary, we invite you to begin a practice of prayer and thanksgiving in all that you do. A lay-brother of low standing in the monestary, he is remembered for the intimacy with God he articulated in conversations and letters, as he discussed finding God in daily routine. Known to pray for his brothers as he washed the dishes off which they ate, Brother Lawrence has become and example of type of profoundly transforming quiet spirituality. Consider following in his footsteps this season. Postpone dish washing or folding laundry until the kids are in bed or engaged in a quiet activity so you may focus your thoughts on prayer. Intentionally dedicate each footstep you take during your evening walk as a prayer for a person in need, or for something you yourself need. Go one step beyond and take this practice into your office or place of employment and share your intention with others.